Discipleship is an essential part of a healthy Christian life. It’s not just what we do when we tell a new believer about growing as a Christian or what pastors do when they meet one-on-one with believers. 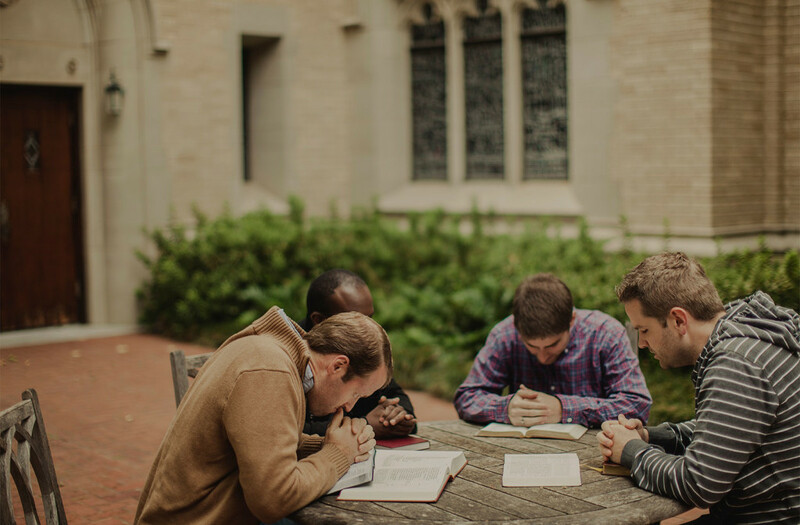 Discipleship happens when we pray with one another and talk through passages of Scripture together. It happens when we share advice for responding to personal or professional conflicts. It happens when we ask older believers how to pray. It happens when we train our children in God’s commands and point them to his love. Each of these contexts involves believers coming alongside one another to share wisdom, encourage one another, and pray together. But how do we share wisdom that’s not limited to our personal backgrounds and biases? In any situation, we must base the words we offer to others on God’s Word. The last time you were discipling another believer, what resources did you turn to? A favorite podcast? A new book from a bestselling author? Your personal experiences? These can all be sources of wisdom, but we don’t want our wealth of resources to distract us from the primary resource God has given us—his inspired Word. Here are three reasons why we ground our discipleship in the Bible. We need God to change our hearts. All the best checklists, processes, or lifehacks can’t free us from idolatry or soften our hearts to God’s truth. But God can, and one of the biggest ways he promises to do so is through the Bible. We need God’s Word to renew our lives, make us wise, make our hearts glad, and make our eyes light up. Whether we are encouraging friends or training up our children, this sort of wisdom and renewal is what we seek in discipleship. God’s Word powerfully exposes what’s really in our hearts and shows us the righteous standard we cannot live up to. If it were not for the gospel, the “double-edged sword” of Scripture would not be good news for us—it would condemn us. But, thanks to Christ’s atoning sacrifice for us, Scripture now shows us how much we’ve been forgiven. It also shows us how we need to change to live in a manner worthy of this good news. This world can show us a million ways to sin, but it can’t show us what holiness looks like. But through the Bible, God shows us both how much we need his forgiveness and how we should live in light of this forgiveness. The Bible doesn’t just confront us with how much we need God’s forgiveness—it shows us how thoroughly and graciously he has forgiven us. The Bible is full of God’s love for his people, from the accounts of God’s pre-fall relationship with Adam and Eve, to his longsuffering with Israel’s continuing idolatry, to his persistent warnings through the prophets, to his incarnation in the gospels, and on to his church. And where could our hope possibly be seen more clearly than at the cross and the empty tomb? It can be easy when we’re discipling someone to focus on what they could do better and to minimize the hope that we have in the gospel. But that’s not what God’s Word does. From the first words of Genesis to the last lines of Revelation, God’s Word weaves a narrative of God’s persistent and mighty love for his people. That love isn’t held back by the waters of the Red Sea, the pressures of an idolatrous culture, or the weight of the Roman empire. It won’t be dissuaded by sin, and it can’t be overpowered by hardships. When we’re discipling someone who is struggling or hurting, let’s be quick to remind them of God’s love for them. And if this is our goal, where could we better see God’s love than in the book God himself inspired for his people?